If your roof has so many problems that repairing it will no longer prove cost-effective, your best option would be to have the entire roof replaced. Though it may sound simple enough, you should know that construction and home improvement projects of this magnitude have the potential of becoming a source of stress. The key to managing potential problems is to set expectations and hire a reliable roofing contractor. Once you know what to expect during a professional roof replacement project, you and your contractor can work towards a common goal. In this article, we’ll share with you tips on how to hire a roofer that will prove worthy of your trust and business. We’ll also touch on what usually happens during a roof replacement contract, so you can know what to expect from one. Roof replacement is a huge project. It is among those projects that you wouldn’t want to entrust to inexperienced hands – including yours. There are several home updates that you can DIY, but roof replacement certainly isn’t one of them. When you hire an experienced and certified professional for your roofing project, you can leverage their expertise. You are assured of quality materials and performance as well as overall cost efficiency. Reliable roofing contractors also ensure safety throughout the project and offer material and labor warranties. Ask for recommendations. These recommendations can come from family and friends who also live in your area and already had some work done on their roof. You can also ask your neighbors. If the name of a contractor comes up a few times, then it’s highly likely that they are worth your time and investment. Review the recommended contractor. Try to find out more about their operations and business history. Do they have licenses and insurance? Do they have a physical office in your city or state? Are they trained and certified by roofing material manufacturers like GAF? Ask for client references. Once you’ve shortlisted a roofer, ask for a list of their previous clients and their contact numbers. They will serve as professional references. Take the time to get in touch with some of the customers listed, and ask about their experience working with the contractor. This should give you a better idea how professional the person is. Verify with industry authorities. If you want to be really sure about your decision, you may contact your local contractors office to ask about the reputation of the contractor you’re looking to hire. You may also check with organizations like the Better Business Bureau (BBB) to see if there are any complaints raised or filed against the contractor. Remember not to rush choosing a contractor so you won’t run the risk of hiring the wrong one. Do not easily give in to cheap quotes – keep in mind that if an offer is too good to be true, it probably is. There are far too many horror stories about difficult contractors; don’t let your roof replacement project be the next one. When you’ve found an experienced, certified and trusted professional, it’s time for the next step: schedule a consultation, and obtain a roof replacement estimate. During this consultation, you will also have the chance to discuss your ideas and concerns with the roofer. Do you want to improve your home’s energy efficiency? Are you concerned about the roof’s longevity? Do you want a totally different look for your roof and home? You need to tell your roofer about your goals so they can consider them as they come up with the estimate and roof replacement plan. Removal of the old roofing materials. When the weather is favorable, the contractor will start with removing the old roofing materials. This process usually doesn’t take too much time, but the duration of the task will still depend on the roofing material and environmental conditions..
Placement of temporary protection. If the weather isn’t very ideal while the contractor works on your roof, they are expected to install temporary protection over the roof so that, if it does rain, your belongings will be protected from the elements. Installation of new roofing materials. The time it will take to install the new roof will largely depend on the type of roofing material you chose. Some materials will take longer to install than others. Installation of other roofing components. The soffit, fascia, flashing and gutters will also likely be included in the contract. To ensure the longevity of your roof, these components must also be properly installed. For best results, consider seamless gutter installation. This type of gutter system is less susceptible to leaks and damage. Cleaning of the job site. Before the contractor can declare the project is complete, they need to ensure that the job site is free from waste and debris, and that they have taken care of proper waste disposal. Final inspection. If you have already arranged for an inspector, he or she will inspect the installation and sign off on it, declaring the project complete. However, if the inspector finds any problems, the contractor will need to fix those problems before the contract can be deemed completed. Talk to the neighbors about the project so they won’t be bothered as much by all the noise and work. Clear the driveway of vehicles and other items. Clear the patio and lawn of furniture and other items. Cover items that can’t be removed, such as plants and landscaping. Mark and protect plants, sprinklers and ponds and other similar fixtures and items. Clear and protect the attic, garage and windows. Keep children and pets indoors – better yet, have them stay somewhere else while the project is ongoing. Big projects like roof replacement can stress you out in one way or another. 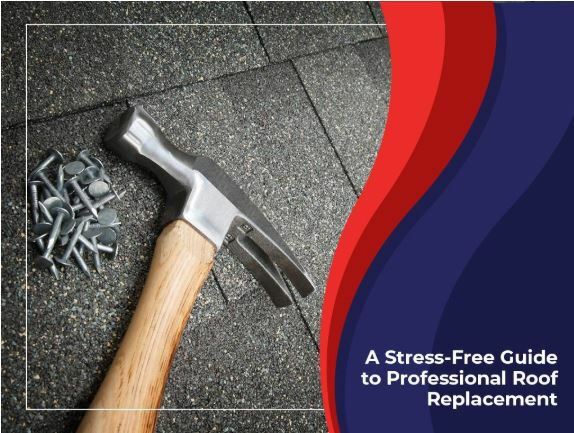 However, if you work with a reliable roofing contractor and prepare yourself and your household well, your stress will be little to none, and all your efforts will pay off.